“A foolish consistency is the hobgoblin of little minds,” Ralph Waldo Emerson said. This statement reassured me as I began to write this post. 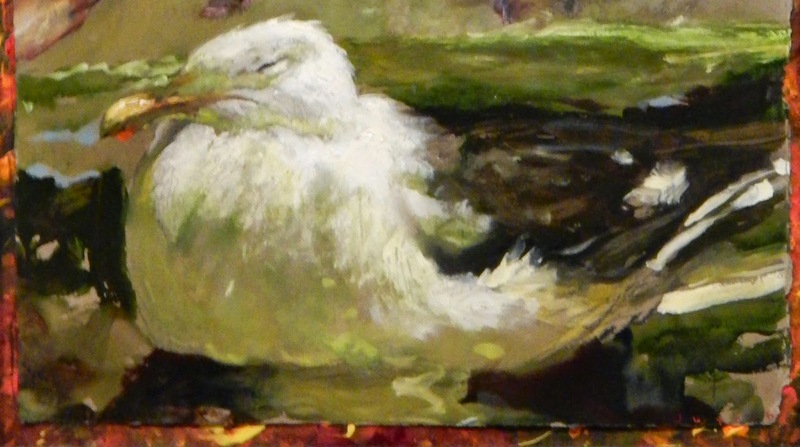 I read a review in the January 25, 2015 Sunday News Journal of Jamie Wyeth’s retrospective exhibit I first saw at the Museum of Fine Arts, Boston, in December, and then recently visited again at the Brandywine River Museum. I liked him. How could I not. He said what I thought. 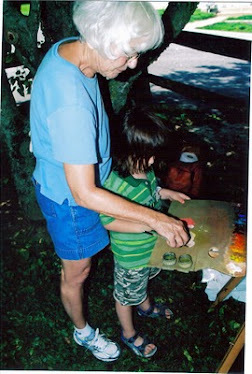 She also enjoyed his paintings of animals and birds. I said this, one way or another, to anyone who asked me what I thought. However, when I visited the exhibit again in Chadds Ford, I felt surprisingly confused and captivated at the same time. 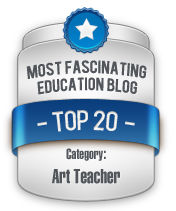 Something about some of the paintings’ qualities of distorted space, drama, power, and luminosity attracted me. Then one painting grabbed me like a leech and would not let go. That painting, Sloth, one of the Seven Deadly Sins series, haunted me, and I knew I had to figure out why. At this point, I ignored the “title.” I stopped thinking about everything I had already read. 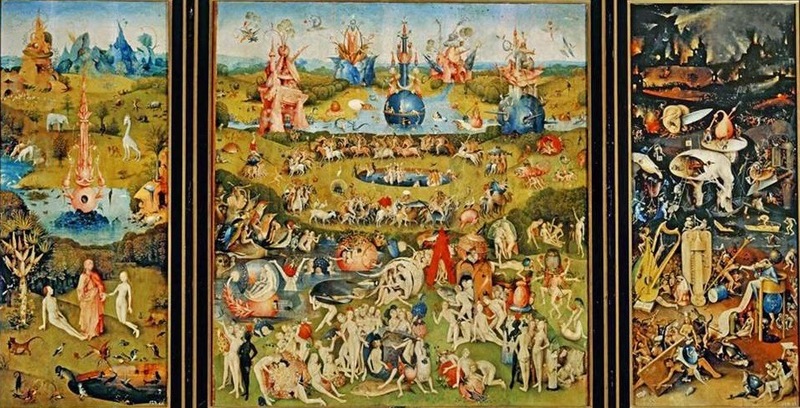 The time had come for me to start seeing for myself whether there was art in this picture, and if so, describe it. If I changed my mind about Wyeth’s work, so be it. Memory kicked in, and Titian’s The Assumption of the Virgin popped up. Notice, Dr. Barnes is talking about the solution of plastic problems. 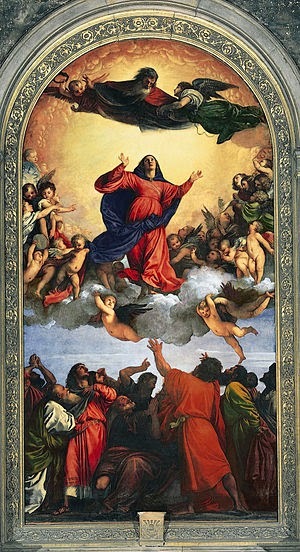 Yes, the painting illustrates the assumption of the Virgin into Heaven. It does so, to go back to basics, orchestrating light, line, color, and space on a flat surface. I saw connections to Wyeth’s painting. In Sloth, the bright, white color unit in the foreground plane establishes a soft but solid massive base behind which horizontal rippling bands of black, tan, beige, green, and light blue, recede in space while also ascend vertically. Floating above this foreground color volume and the rippling bands, a semi-circular cradle holds a series of overlapping, vertically surging in-and-out movements of arabesque volumes that rhythmically ascend to the top of the composition while, at the same time, recede into space. “Wings” set up a series of repetitions of dark-black and light-white arabesques with crenelated edges moving back and front as they also recede into deep space. 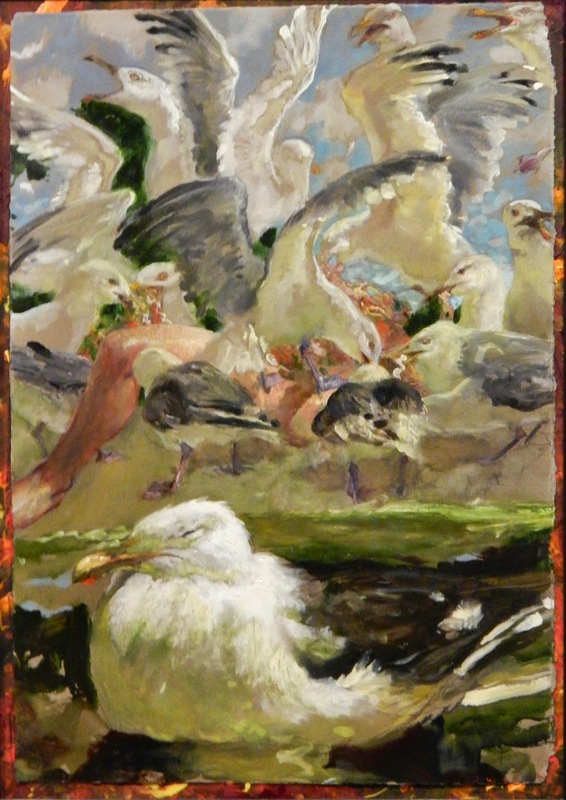 On the left, right, and center, nestled in the crowded recesses of the “birds’ heads,” orange, pink, tan, and green jagged linear ribbons hang in space. The linear ribbons on the right are further back in space than those in the center or on the left. Jutting out on the left, a shiny, fleshy, solid “leg” hangs in space consolidating the warm pinks, reds, browns, and tan curlicue lines into an angled volume. This unit links the relatively serene lower section to the upward tangle of agitated movement above. This small area rhythmically repeats the theme of the picture: a drama of rich, glowing color volumes interacting in a series of arabesques moving upwards and in-and-out in deep, expansive space. Unlike the Titian, Wyeth’s picture contrasts immobility with movement, or sloth with energy. 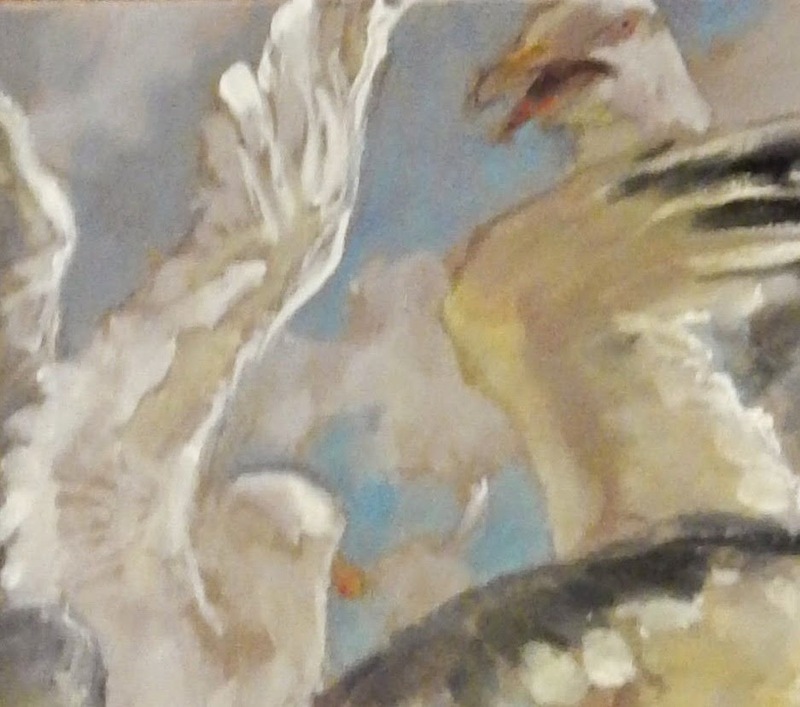 Like the Titian with its numerous arms, legs, wings, bodies, heads, and clouds intertwined in all directions, the Wyeth color units also move backward and decidedly upward. Jamie Wyeth’s painting originates from his life experience as well as his prodigious skill and talent. He knows sea gulls and coastal Maine. He derives his subject facts from his acute perception of a landscape that speaks to him in the same way as Titian derived his subject facts from his acute perception of 16th century Venetian pomp, pageantry, and religious fervor. 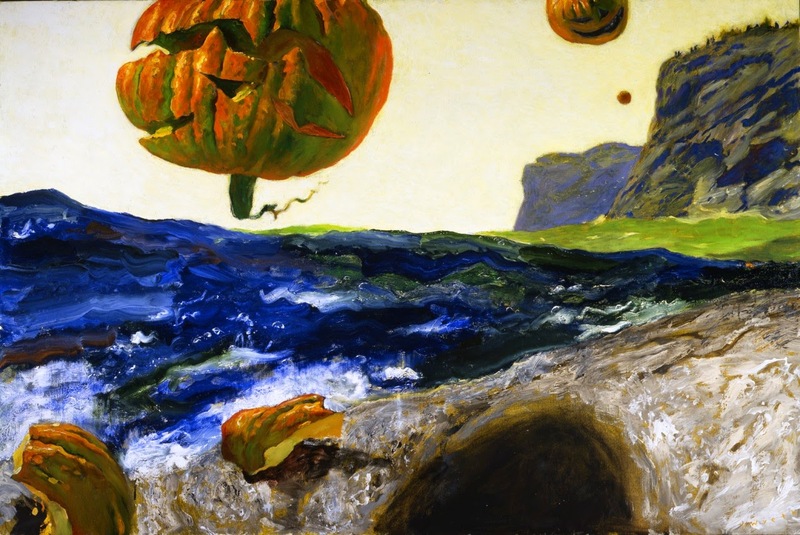 In this painting, Wyeth demonstrates his ability to orchestrate one of the Seven Deadly Sins into a convincing plastic composition of drama, power, and movement. 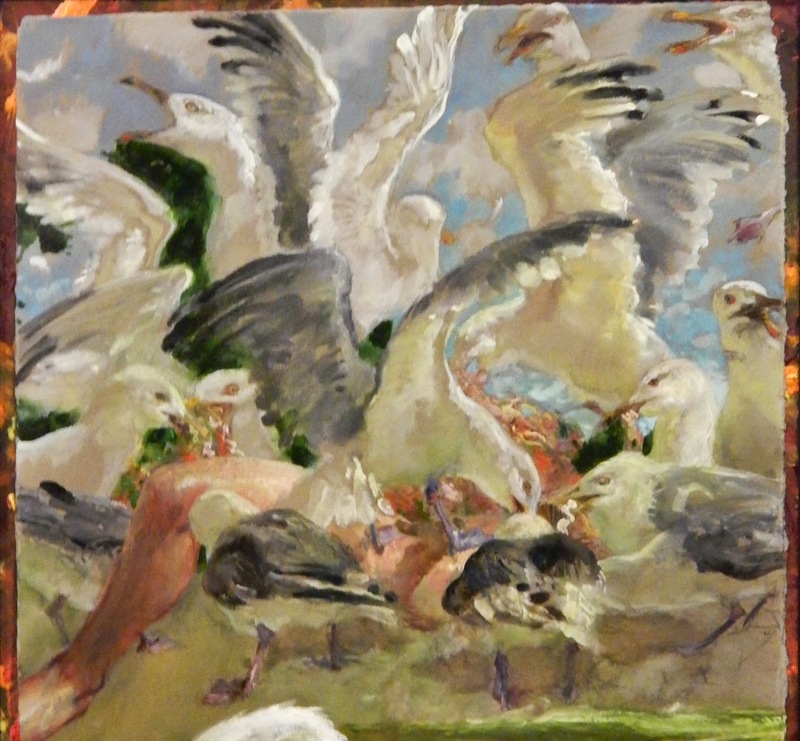 Like those paintings, Wyeth’s dramatic, powerfully animated composition in which he uses sea gulls as subject facts to illustrate “sloth,” is as plastically legitimate as Bosch’s and Brueghel’s weird inventions, not because he does what they did, but because he orchestrates his actively moving color units into a well-integrated expressive design. Combined with the remarkable luminosity of his unique color, he gives us something new. “Something new” means we are appreciating the work of an artist. 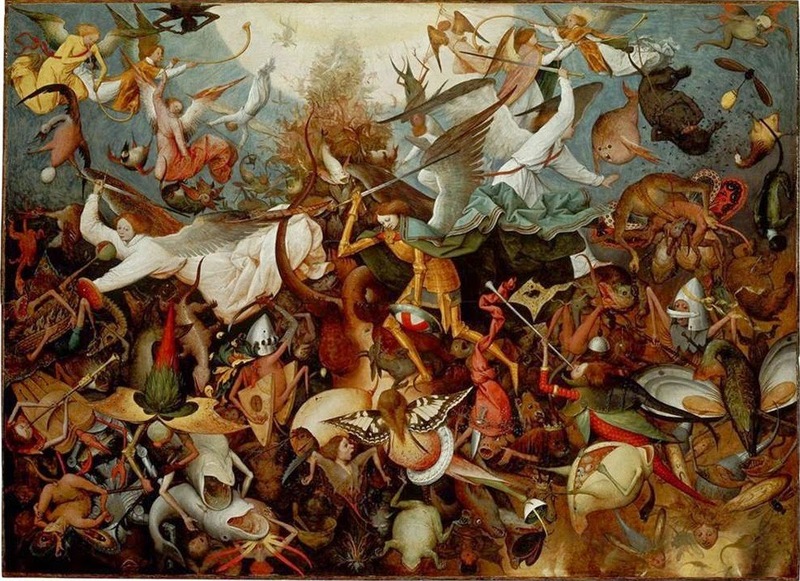 Viewers of works of art are not always consistent in their reactions to, or their judgments of, them. 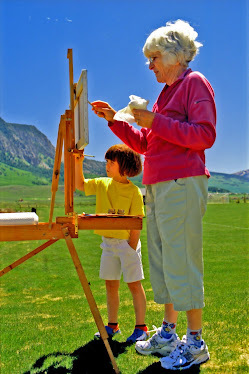 Like artists, art appreciators learn and absorb new visual information, deepening and enriching their perceptions. Based on their enhanced sensitivity, they modify their conclusions. Ralph Waldo Emerson encouraged this bigness of mind, and I hope that is as motivating for you as it was for me. I wonder what contribution to the traditions can you see besides the use and command of them? You ask a compelling question at the end of your response. 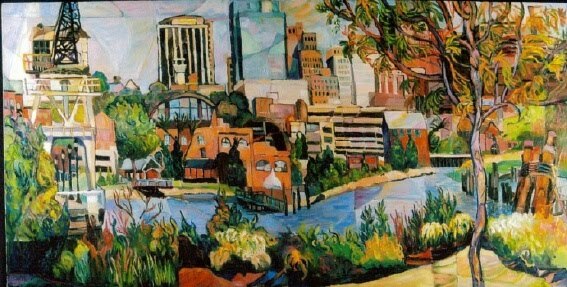 To answer it, I need to return to the exhibit and spend time with many more of his paintings. I am surprised I enjoyed "Sloth" as much as I did, so I now wonder whether other surprises await me. If the weather cooperates, I plan to get back to the museum soon. I am as curious as you.